Rose of Sharon (Hibiscus syriacus), is a flowering shrub that grows in urban gardens. It can reach a full height of 12 feet with a spread of 10 feet. An erect, deciduous shrub often referred to as althea or hardy hibiscus, Rose of Sharon has cup-shaped flowers that bloom during late summer to fall. The flowers come in shades of blue, pink, red, purple, white and lavender. Learning the proper ways to care for the Rose of Sharon will ensure that it blooms profusely. Keep the soil moist to promote Rose of Sharon blooms. This flowering shrub can grow well in average soil, requires very little maintenance and blooms profusely in summer. It loves sunlight. Unlike other shrubs, the Rose of Sharon loses its leaves late in spring; hence, it lives much longer than other shrub varieties. The Rose of Sharon needs moist and well-drained soil. Plant it in the spring or fall for best results. Apply a single layer of compost under the outermost branches of the shrub during the spring. To enhance blooming and promote larger blossoms, prune the shrub each spring, retaining only two to three buds on each branch. Remove dead, diseased and damaged branches constantly to help the blooms flourish. Prune away up to one-third of the oldest branches to rejuvenate the Rose of Sharon. Look for thicker stems, cutting those branches at the base. Rose of Sharon buds at times fall off prematurely, which can be a result of inconsistent watering or inadequate phosphorus. Over-watering tends to saturate the roots, making it difficult for the plant to absorb soil nutrients. Maintain a water level of 1 to 1-1/2 inches per week. Check the, as those with too much clay have poor drainage. Apply fertilizer containing high phosphorous and low nitrogen every two weeks. With a supply of the proper kind of phosphorus, Rose of Sharon will bloom profusely in no time. 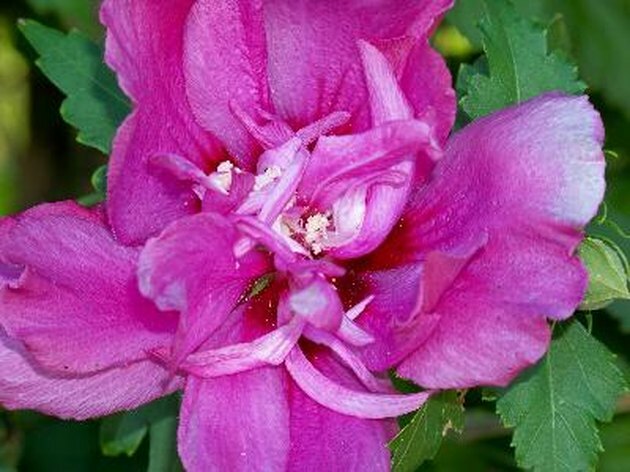 Infestations may prevent the Rose of Sharon from producing any blooms. Its colorful flowers are attractive and inviting to insects and birds. The Japanese beetle, for example, loves to eat flowers, including those of the Rose of Sharon. 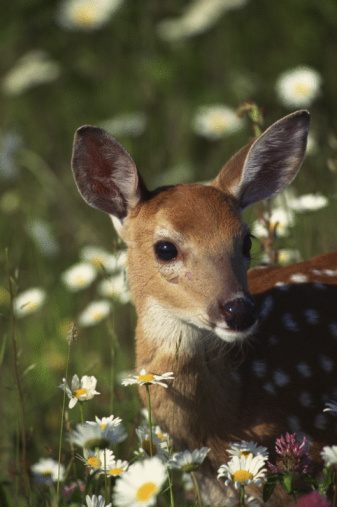 An organic spray will help eliminate these pesky critters. Make your own organic spray by mixing 1 cup vegetable or white mineral oil, 2 cups water and 2 tsp. dish soap. Place the mixture in an 18-oz spray bottle. Spray insects every one to two weeks. Aside from organic spray, nature's own defense -- the ladybug -- can be deployed to get rid of aphids.